Ghanaian attacker Caleb Ekuban found his scoring boots in Turkey by coming off the bench to score against Asamoah Gyan’s club. 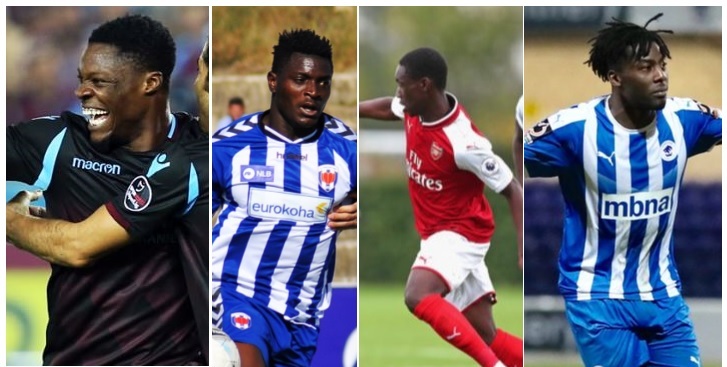 Meanwhile former Birmingham City starlet Akwasi Asante scored a hat-trick in the English lower-tier league while teenage sensation Yunus Musah, who is likened to Paul Pogba scored twice for Arsenal. There were goals for Daniel Agyei, Isaac Ntow, Terry Ablade, Mensah Quarshie scored for the second week running, Ernest Agyiri in Belgium, Alex Addai, Jonathan Kyeremateng, Abdul Basit Khalid and Kwame Adjeman in Jordan. German-born Ghanaian Kingsley Schindler scored his 5th goal in his 4th straight game in the German second-tier league. There was a brace for Kwabena Owusu in Spain’s third-tier league. Elsewhere Napoli loanee Abdul Basit was sent off in Italy plus other lowdown on how Ghanaian players fared abroad. El Akyereko has the comprehensive run down. Crystal Palace posted a 2-0 home win over Burnley in the Premier League on Saturday. Jordan Ayew was unused while Jeffrey Schlupp came off the bench in the 78th minute to play for Palace. German-born Ghanaian Collin Quaner was left out of the Huddersfield squad for their 2-1 home loss to Brighton. English-born Ghanaian striker Edward Nketiah failed to make the Arsenal squad for their 4-2 come-from-behind win over Tottenham Hotspur. Chelsea won 2-0 against Fulham at the Stamford Bridge on Sunday afternoon. Belgian-born Ghanaian Denis Odoi was booked in the second-half while Dutch international of Ghanaian descent Timothy Fosu-Mensah was left out of the Cottagers squad for the game. Injured Daniel Amartey watched from the stands as his Leicester City side won 2-0 against Watford. Christian Atsu was introduced in the 54th minute by Newcastle United who suffered a 3-0 home defeat against visiting West Ham United. In the Championship, Norwich City rallied from a goal down to beat Rotherham 3-1 to maintain their leadership of the table. Ghanaian-born Norway international Alexander Tettey captain Canaries to the win. Attacker Arvin Appiah trained with Nottingham Forest first team squad but he was left out of their team for their 2-0 home win over Ipswich Town. Black Stars lateral defender Andy Kyere Yiadom was in action for 90 minutes and was booked for a foul late in the game for Reading in their 2-2 draw with Stoke City. Aston Villa stretched their unbeaten run to 5 games after hammering Middlesbrough 3-0 at the Riverside Stadium. Ghanaian winger Albert Adomah missed the game with an ankle injury. In the National League, Ghanaian defender Kevin Lokko was in action for Dover Rovers in their 2-2 draw with Eastleigh. Former Chelsea youth team player Nii Nortey Nortei warmed the Dover bench. Former Stoke City youth team player James Alabi was introduced in the 86th minute by Leyton Orient in their 2-0 win over ten-man Gateshead. Both Harold Odametey and former Chelsea youth team and England U20 captain Nana Ofori Twumasi played for Maidenhead in their 2-1 home loss to Harrogate. Nana Owusu was unused as he warmed the bench. Meanwhile in the National League North, former Birmingham City attacker Akwasi Asante scored a hat-trick for Chester in their 3-1 win over Darlington. Solihull Moors held Blackpool to a 0-0 draw in the FA Cup fixture on Friday. Former Leicester City forward Joe Dodoo played 83 minutes for Blackpool whilst Kwame Thomas was introduced after 70 minutes by the hosts. Striker Kwasi Appiah was not in the Wimbledon squad for their 3-1 win over Halifax in the FA Cup. Midfielder Alex Addai came off the bench to score the consolation goal for Cheltenham who lost 3-1 at Accrington Stanley. Immanuelson Duku came off the bench in the 80th minute to play for Barnet in their 1-0 win over Stockport. Forward Duane Ofori-Acheampong sat on the Woking bench in their 1-0 away win over Swindon Town on Sunday. Charlton Athletic suffered a 2-0 home defeat and elimination from the competition to Doncaster. 19-year-oldEnglish-born Ghanaian midfielder Brendan Wiredu came off the bench to play for the Addicks. Former Watford player Bernard Mensah watched from the bench as his Lincoln City side beat Carlisle 2-0. Antoine Semenyo came off the bench to play for Newport County in their 0-0 stalemate. Game would be replayed. Ghanaian forward Daniel Agyei scored a 76th minute equaliser for Burnley U23 in their 2-2 draw with West Bromwich Albion U23. In the U18 Premier League, Finnish-born Ghanaian Terry Ablade came off the bench to score one of the consolation goals for Fulham U18 in their 5-2 defeat at Arsenal U18. Defender Zico Asare also played for Fulham but Cameron Antwi missed out of the squad. Ghanaian teenager Yunus Musah scored twice for Arsenal. Chelsea U18 posted a comfortable 2-0 win over Reading U18 at the Cobham Training Centre in Surrey. Lynford Sackey did not make the Reading squad for the game. Leicester City U18 were consigned to a heavy 4-0 home defeat by visiting Tottenhem Hotspur U18. Ghanaian midfielder Enoch Asante failed to make the Spurs squad for the game but Dennis Gyamfi played 90 minutes for the losers. However his brothers Johnson Gyamfi and Pierlugi Gyamfi were left out of their squad. Kevin Berkoe played in central defence for Wolves U18 in their 2-1 loss at Derby County. 16-year-old Harold Essien was left out of the Middlesbrough U18 squad for their 6-5 home loss against visiting Liverpool U18. Manchester City U18 shared the spoils in a 3-3 draw with West Bromwich Albion U18. Ghanaian defender Yeboah Amankwah, who hails from Berekum, played 90 minutes in central defence for City. 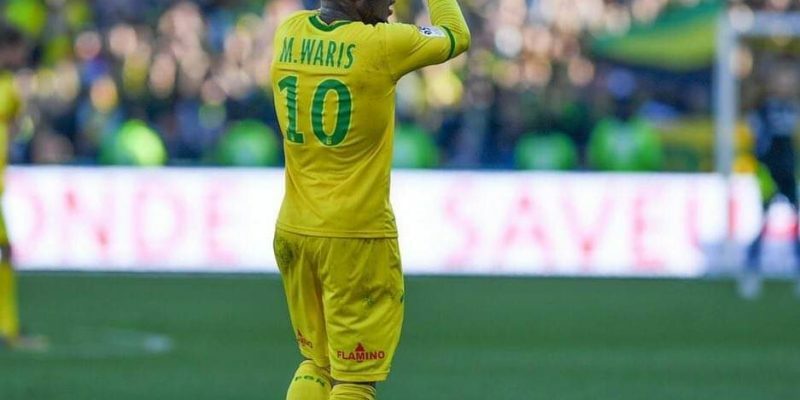 Both Majeed Waris and Enock Kwateng started for Nantes who lost 3-0 at Saint Etienne in the Ligue 1 on Friday night. Elsewhere in the Ligue 2, Elisha Owusu played in holding midfield for Sochaux when they slipped to a 1-0 test at Chateauroux. Ghana No.2 Lawrence Ati-Zigi warmed the bench for the losers. Ghanaian attacker Ebenezer Assifuah climbed off the bench in the 84th minute to play for Le Havre in their 1-1 draw with Auxerre. 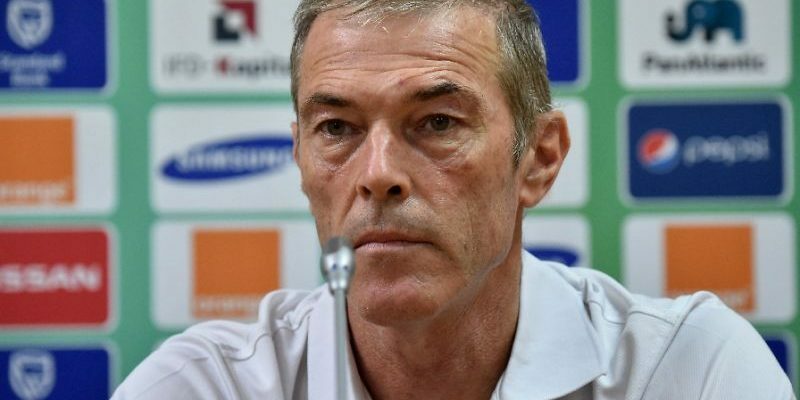 Still in the Ligue 2, Black Stars defender John Boye was booked in the 43rd minute as he played 90 minutes for Metz in their 1-1 draw with Grenoble. Former Right to Dream Academy defender Emmanuel Ntim lost his place in the Valenciennes squad for their 0-0 draw with Paris FC. French-born Ghanaian Grejohn Kyei was not part of the Lens team that drew 2-2 at Lorient. In the National Ligue 2, Group A, Ghanaian forward Eric Eyiah was in AS Monaco II squad for their 2-0 loss at Fréjus St-Raphaël. Swedish international of Ghanaian descent Robin Quaison assisted the solitary goal of the game scored by French Jean-Philippe Mateta for Mainz 05 in their 1-0 away win over Fortuna Dusseldorf on Friday. Dutch-born Ghana-pursuit Derrick Luckassen was dropped to the Hertha Berlin bench for their 2-0 away win over Hannover 96. Wolfsburg left youngster John Yeboah Zamora out of their squad for their 2-1 away win over Eintracht Frankfurt. Schalke 04 managed to hold Hoffenheim to a 1-1 drawn game. Defender Kasim Nuhu played 90 minutes for the Hoffs but Baba Rahman was not part of the Schalke squad for the game. Stuttgart beat Augsburg 1-0. Ghanaians Hans Sarpei Nunoo and Kevin Danso watched from the Stuttgart and Augsburg benches respectively. In the Bundesliga II, David Atanga lasted 64 minutes for Greuther Furth when they suffered a 4-0 humiliation at the hands of FC Koln. German-born Ghana Erich Berko started in a 3-man attacking front for SG Dynamo Dresden when they held St Pauli to a 1-1 draw. Another German-born Ghanaian Chris Avevor played 90 minutes in defence for Pauli. German-born Ghanaian Kingsley Schindler scored his 5th goal in his 4th game running for Holstien Kiel as they beat Duisburg 4-0. He assisted the second goal of the game. Defender Jans Gyamerah was in action for 90 minutes for Bochum in their 0-0 draw with Magdeburg. Ghanaian pair of Chris Antwi-Adjei and Bernard Tekpetey were in action for full time for Paderborn in their 2-2 draw with Arminia Bielefeld. Ghanaian Prince-Osei Owusu came off the bench in the 70th minute to play for Bielefeld. German-born Ghanaian defender Steffan Nkansah captained Eintracht Braunschweig to a 2-2 draw with Aalen. Ghanaian midfielder Kevin Weidlich was in action for Energie Cottbus who lost 2-0 against visiting Uerdingen. 21-year-old defender Braydon Marvin Manu excelled in defence for Hallescher when they beat Preussen Munster 2-1 in an away fixture. Midfielder Daniel Kofi Kyereh missed out of Wehen’s 2-0 home win over Lotte with sickness. In the Regionalliga Southwest, Ghanaian Perric Afari came off the bench to play for Wormatia Worm in their 2-0 home loss against SV Elversberg. There was action for defender Patric Pfeiffer as he played in central defence for Hamburg II in their 0-0 with VfL Oldenburg. Talented offensive midfielder Aaron Opoku came off the bench to play for Hamburg. Daniel Owusu and Moritz Kwarteng were not in the Hamburg squad for the game. Jonah Osabutey was introduced in the 75th minute by Werder Bremen II in their 1-0 win over TSV Havelse. In the U19 Bundesliga, Charles Jesaja Hermann was in action for 68 minutes for Wolfsburg U19 in their 2-0 away win over FC Union Berlin U19. Ghanaian starlet Mensah Quarshie scored in the second week running for Werder Bremen U19 in their 4-1 away win over Dynamo Dresden U19. Schalke 04 U19 won 4-2 against Bochum U19. Ghanaian Yannick Debrah was in action for Schalke while Maxwell Gyamfi was sent off for Bochum. Philip Aboagye also played for Bochum. Fortuna Dusseldorf U19 and Bor. Mönchengladbach U19 drew 0-0. Ghanaian starlet Daniel Kyerewaa played for Fortuna. Jonathan Kyeremateng climbed off the bench to score one of the consolation goals for Paderborn U19 in their 4-2 loss at Rot-Weiß Oberhausen U19. Ghanaian defender Nana Kwasi Asare skippered Gent to rally from behind to draw 2-2 at Lokeren in the Jupiler League on Friday evening. Belgian-born Ghanaian Vadis Odjidja-Ofoe was in action for 68 minutes for Gent. Bennard Kumordzi played 90 minutes as a central defender for Kortrijk in their 1-0 win over Mouscron. KAS Eupen won 1-0 against Waasland-Beveren. Midfielder Eric Ocansey played full time for Eupen while Nana Opoku Ampomah played for Waasland. Ghana U20 goalkeeper Abdulnanaf Nurudeen did not make Eupen squad for the game. St Truiden won 3-1 at Antwerp. Ghanaian defender Daniel Opare started the game for the losers but he was replaced after half-time. Striker William Owusu was unused but duo Samuel Asamoah and Elton Acolatse played for the winners. Genk claimed a 1-0 away win over Anderlecht on Sunday. 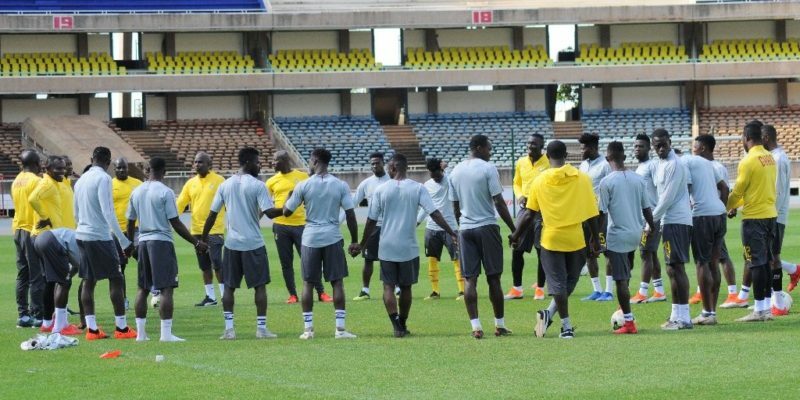 Dauda Mohammed was dropped to the bench but Francis Amuzu played for the losers while Dennis Appiah was left out of their squad for the game. Joseph Aidoo was a pillar in defence while Joseph Paintsil was unused. In the second-tier league, Ghanaian midfielder Ernest Agyiri scored the second goal for Tubize in their 2-0 win over St. Gilloise. Divine Naah was named on the winners’ bench. The Tirana derby ended 2-1 in favour of Partizani Tirana as they won against KF Tirana. Ghanaian winger Emmanuel Mensah was in action for Partizani for 90 minutes while Vincent Atinga also starred in defence for the losers but Winful Cobbina did not play. Ex-Sporting Braga midfielder Emmanuel Oti played 90 minutes for Esbjerg when they suffered a 4-1 home defeat against visiting Aalborg on Friday in the top-flight league. Godsway Donyoh started the game for Norsdsjaellands in theur 2-1 away win over Sonderjyske. Youngster Kudus Mohammed came off the bench to play for the winners while Ghana U20 defender Sadiq Ibrahim was unused. Duo Mumin Abdul and Clinton Antwi did not travel with the winners’ team. Brondby won 1-0 against visiting Hobro. Both Yaw Ihle Amankwah and Emmanuel Sabbi played for the losers whilst Danish-born Kevin Mensah missed the game for Brondby with injury. Midfielder Afriyie Acquah was dropped to the Empoli bench for their 2-2 draw with Spal in the Serie A on Saturday. Kwadwo Asamoah was booked for holding in the 46th minute and he played 90 minutes for Inter Milan who drew 2-2 at AS Roma on Sunday. Sampdoria whipped Bologna 4-1 at the Stadio Luigi Ferraris in Janov. Ghanaian midfielder Godfred Donsah watched the entire action from the bench. Frosinone drew 1-1 with ten-man Cagliari on Sunday. Midfielder Raman Chibsah played 90 minutes for Frosinone. Udinese stole a point from Sassuolo after playing out a 0-0 drawn game at the Città del Tricolore. Ghanaian midfielder Alfred Duncan played for Sassuolo but Kevin-Prince Boateng missed the game with a hip injury. Nicholas Opoku warmed the bench for Udinese while Emmanuel Agyeman Badu did not travel with Udinese due to injury. Defender Bright Gyamfi was confined to the Benevento bench for their 0-0 draw at Palermo in the Serie B on Friday. Still in the Serie B, Ascoli won 3-1 against Spezia. 2009 Ghana U20 defender Bright Addae played in midfield for Ascoli while former Torino player Emmanuel Gyasi was in action for the losers. Meanwhile former Catania midfielder Moses Odjer was a bench warmer for Salernitana in their 3-1 away defeat at Cittadella. In the Serie C, Group B, Fano beat Rimini 1-0. Ransford Selasi played in a five-man midfield for Fano while ex-Inter Milan Primavera player Stephen Danso was replaced after 31 minutes due to injury. 10-man Triestina won 1-0 against Imolese. Ghanaian midfielder Davis Mensah missed out of the Triestina squad for the game. Midfielder Daniel Kofi Agyei came off the bench to play for Carrarese when they condemned Pro Piacenza to a 5-0 defeat. Joseph Tetteh was introduced in the 75th minute Olbia in their 1-1 draw with Lucchese on Sunday. Napoli loanee Abdul Basit was sent off in the 54th minute while in action for Arezzo in their 1-1 draw with Pro Patria. Midfielder Mawuli Eklu was introduced in the 70th minute by Catanzaro as they beat Cavese 2-0. Bismark Ngissah was unused by Viterbese in their 2-2 draw with Trapani. Former Inter Milan Primavera midfielder Isaac Ntow Tuah played 90 minutes and scored in the 88th minutes for Hibernians in their 5-1 punishment to Qormi in the FA Trophy. Injured Myron Boadu watched from the stands as his AZ Alkmaar side slipped to a 2-0 home defeat at the hands of Willem II. Defender Robin Polley warmed the bench for ADO Den Haag in their 5-1 away defeat to Ajax Amsterdam. Polley is the son of former Asante Kotoko and Ghana international Prince Polley. Johnathan Opoku Agyemang assisted the consolation goal for VVV Venlo and played 73 minutes in their 4-1 loss at Heracles on Sunday. Feyenoord won 2-1 against PSV Eindhoven in the Eredivisie derby. Dutch-born Ghanaian Cody Gakpo missed out of the PSV squad for the game. Former Ajax Amsterdam youngster Leeroy Owusu was in action for 90 minutes for ten-man Graafschap who lost 2-0 against visiting PEC Zwolle. Almere City held Telstar to a 1-1 draw. Ghanaian attacker Kevin Luckassen did not make the City squad for the game. Kumasi-born Portugal youth international Asumah Ankra came off the bench to play for Maastricht in their 1-1 draw with Jong AZ. In the third-tier league, former Newcastle United youth team player Frank Wiafe Danquah was replaced after 37 minutes due to injury in their 3-0 away loss at Kozakken Boys. Jong Sparta Rotterdam managed to hold VVSB to a 2-2 drawn game. Dutch-born Ghanaian Felicia Lovette Ofori played 65 minutes for the hosts. Experienced defender Carlos Opoku came off the bench to play for Rijnsburgse Boys as they succumbed to a 3-1 away loss to De Treffers. Poli Iasi and Sepsi shared the spoils in a 1-1 draw on Friday. Former Dreams FC midfielder Lawson Bekui came off the bench to play for Poli Iasi while Joseph Mensah was also introduced in the second-half. Former Ebusua Dwarfs attacker Richard Gadze also came off the bench to play for Voluntari when they lost 5-0 at CFR Cluj. Former Inter Milan defender Isaac Donkor was booked on the 64th minute mark and he played 90 minutes for U Craiova 1948 CS in their 1-0 win over Calarasi. 28-year-old Abdul Aziz Tetteh was left out of the Dynamo Moscow squad for their 1-1 at Rubin Kazan’. Midfielder Rabiu Mohammed is nursing a shoulder injury and missed out of FK Anzi Makhackala’s 0-0 draw with FK Ufa on Saturday. Midfielder Samuel Darpoh watched from the Amazulu bench as they beat Chippa Utd. 1-0 on Friday in the Absa Premier League. Midfielder Nana Akosah-Bempah warmed the bench for Cape Town City when they lost 2-0 against Highlanders. Midfielder Edwin Gyimah was on the Bidvest Wits bench for their 0-0 stalemate at Black Leopards. Ghana goalkeeper Richard Ofori was in post for Maritzburg United in their 0-0 draw at Orlando Pirates. Defender Richard Kissi-Boateng was replaced after just 37 minutes for tactical reasons when SuperSport United lost 2-1 to visiting Mamelodi Sundowns. Forward Anas Mohammed was in action for 90 minutes for Polokwane in their away win over Bloemfontein Celtic. Ghanaian midfielder Isaac Sackey was booked in the 57th minute while he was in action for Alanyaspor in their 2-0 away loss to Konyaspor. Defender Joseph Atamah Larweh was replaced after half-time by Istanbul who lost 1-0 against visiting Sivasspor. Trabzonspor staged a strong second-half performance to beat Kayserispor 2-0. Ghana captain Asamoah Gyan came off the bench to play for the losers while Bernard Mensah started the game for them. Ghanaian attacker Caleb Ekuban climbed off the bench to score the opening goal for the winners. Elsewhere in the second-tier league, Ghanaian attacker Mahatma Otoo was in action for 90 minutes for Balikesirspor in their 0-0 draw with Denizlispor. Ex-Ghana defender Jerry Akaminko played in central defence for Istanbulspor AS when they managed a 1-1 draw at Elazigspor on Sunday afternoon. Midfielder Michael Tawiah was left out of the Vereya squad for their 2-2 draw with LokomotivPlovdiv. Former Tema Youth and ex-Ghana U20 midfielder Derrick Mensah warmed the Dunav Ruse bench in their 3-0 at Levski Sofia. Midfielder Ishmael Baidu was in action for Septemvri Sofia as they slipped to a 4-1 defeat against Botev Vratsa. Ghana winger Edwin Gyasi started the game for CSKA Sofia and was booked in the first-half in their 1-0 loss to Slavia Sofia. Thomas Partey was booked in the 72nd minute as he played 90 minutes for Atletico Madrid in their 1-1 draw at Girona on Sunday. Kumasi-born Mohammed Salisu missed Real Valladolid’s 4-2 home defeat against Leganes due to injury. In the Segunda Division, Iddrisu Baba Mohammed starred in midfield for Real Mallorca in their 2-0 away win over Reus. Midfielder Wakaso Mubarak lasted 74 minutes for Alaves in their 1-1 draw with visiting Sevilla on Sunday. His Ghanaian compatriot Patrick Twumasi did not make the Alaves squad for the game. Midfielder Isaac Cofie helped Sporting Gijon to a 2-1 home win over visiting Tenerife. Yaw Yeboah excelled in offensive midfield for Numencia in their emphatic 3-0 win over Gimnastic. Richard Boateng was left on the Real Oviedo bench for their 0-0 draw at Las Palmas on Sunday. Ernest Ohemeng was named in the Mirandes teams for their 1-1 draw at Real Oviedo II. Former Dreams FC midfielder Emmanuel Lomotey did not make the Villarreal II squad for their 3-0 win over Teruel. Former Espanyol midfielder Paul Quaye could not make the Talavera squad for their 0-0 draw with Linense. Striker Kwabena Owusu scored both goals for Salmantino when they beat Cultural Leonesa 2-0 on Sunday. He has now scored 7 league goals. Seth Paintsil did not travel with the Admira squad for their 2-2 draw at Mattersburg due to injury. Attacker Samuel Tetteh was introduced by LASK Linz in the 63rd minute in their 3-3 draw with Hartberg. Rijeka claimed a 2-1 win at Osijek on Saturday in the top-flight. Former Fiorentina player Maxwell Acosty was introduced to play the last 10 minutes of normal time of the game for the winners. Attacker Said Ahmed Said was not in the Hajduk Split side that won 4-1 at Rudes. Dinamo Zagreb won 1-0 against Gorica on Sunday. Ghanaian midfielder Nasiru Moro warmed the bench for the losers. Zapresic won 2-0 at the expense of Istra at their own backyard. Ghanaian midfielder Obeng Regan lasted 71 minutes for the losers. Forward Benjamin Tetteh played 90 minutes and fired blank while in action for Sparta Prague in their 2-1 away defeat to Slovacko. The losers wasted two penalties and had two players sent off. Relegation candidates Pribram succumbed to a 2-0 home defeat to Ostrava. Ghanaian winger Emmanuel Antwi played 90 minutes for the losers. Haladas remain rooted at the foot of the table after failing to beat DVTK in a 1-1 drawn game. German-born Ghanaian Reagy Ofosu played 86 minutes for Haladas. Ferencvaros posted a convincing 3-0 win over Paks at their own home grounds on Saturday. Ghanaian defender Abraham Akwasi Frimpong played in central defence for Ferencvaros. Ashdod finally won a game in the league after nine games as they beat Ironi Kiryat 1-0 on Saturday. Ghanaian midfielder Leonard Owusu was in action for the winners. American-born Ghanaian forward Kwame Adjeman-Pamboe scored the second goal for Al Salt in their 2-0 home win over Al Hussein in the Jordanian Premier League on Thursday afternoon. Mornar Bar and Zeta played out a pulsating 0-0 draw on Saturday in the top-flight league. Ghanaian Alex Yamoah was not part of their squad for the game. 33-year-old defender Frank Kwame Adu did not make the Legnica squad for their 2-0 home win over Wisla. Alhassan Wakaso starred in midfield for Vitoria Guimaraes in their 1-0 away win over Chaves on Sunday. Former Liberty Professionals defender Emmanuel Hackmann watched from the Portimonense bench in their 3-2 win over Tondela. CD Cova da Piedade drew 0-0 with visiting Famalicao in the second-tier league on Saturday. Ghanaian Koffi Kouao was not in the Famalicao squad for the game. Guimaraes B drew 1-1 with Oliveirense. Abdul-Aziz Yakubu came off the bench in the second-half to play for Guimaraes B.
Striker Kwame Nsor was in action for Academico Viseu when they drew 0-0 with Varzim. Midfielder Paul Ayongo warmed the bench for Pacos Ferreira when they posted a 2-0 win over Penafiel. Ghanaian midfielder Thomas Agyepong missed Hibernian’s 3-0 whipping by Kilmarnock in the Premiership. Former Portsmouth and Hamburg German-born Ghanaian defender Lennard Sowah watched from the Hamilton bench in their 3-1 away win over St Mirren. Hearts slipped to a 2-1 home loss against ten-man Rangers. Danish-born Ghanaian Danny Amankwaa could not make the Hearts squad for the game. Meanwhile in the Championship midfielder Prince Christian Abankwah Buaben did not travel with the Falkirk squad for their 3-2 win over Inverness. Striker Francis Kyeremeh played 70 minutes for Radnik when they held Zemun to a 0-0 draw on Saturday in the Super Liga. Attacker Samuel Owusu fired blank but lasted 87 minutes for Cukaricki when they suffered a 1-0 loss at Macva. Forward Suraka Zakaria was replaced after half-time by Dinamo Vranje in their 4-0 home loss to Radnicki Nis. Former Hearts of Oak attacker Samuel Afum was left out of the Sp. Subotica team that drew 2-2 at Proleter. Striker Richmond Boakye-Yiadom recovered from injury and was named on the Red Star Belgrade bench for their clash with FK Vozdovac on Sunday. He played the last 11 minutes of normal time in the game but Rashid Sumaila was left out. Attacker Osman Bukari played at the right side of attack for Trencin when Slovan Bratislava dismantled them 3-0 in the top-flight. Dutch-born Ghanaian defender Mitch Apau played 90 minutes for the winners. Former Vision FC player Sadam Sulley came off the Michalovce bench in the 73rd minute to play in their 3-0 win over Z. Moravce. Defender Asmah Patrick Kojo conspicuously missed out of Senica’s 1-0 defeat at Nitra. Benson Anang played 86 minutes for Zilina in their 2-2 draw with Dun. Streda. NK Olimpija Ljubljana were disgraced 6-2 by Aluminij. Ghanaian Eric Boakye played for the losers but former AC Milan player Kingsley Boateng was not in their squad for the game. Ghana international Majeed Ashimeru was introduced in the 62nd minute by St Gallen in their 2-0 at Thun in the Super League. Swiss-born Gregory Kwesi Wuthrich did not make the Young Boys squad for their 3-1 away win over FC Basel. Lori remain without a win in their last seven games in the league as they suffered a 1-0 defeat to visiting Ararat-Armenia. Ghanaian pair of Annan Mensah and Nana Kwame Antwi played for Lori. But Richard Botchway and Ibrahim Fuseini were in their squad for the game. Banants dismissed Shiraks 4-0 in an entertaining fixture. Ghanaian pair of Edward Kpodo and Nathaniel Asamoah both played for the winners. Former Kotoko defender Gideon Baah was not in the Gomel squad when they lost 3-1 against visiting Vitebsk on Sunday. Joe Fameyeh was in action for 73 minutes for Dinamo Brest in their 3-0 away win for Neman on Sunday afternoon. Former Sekondi Hasaacas player Saliw Babawo was not in the Brest squad for the game. Midfielder Seidu Yahaya played for Dinamo Minsk in their 3-0 away win over Torpedo Minsk. Former Brescia midfielder Nana Addo Welbeck played for Mladost Doboj in their 2-1 defeat at Sloboda. Midfielder Joachim Adukor played 90 minutes for FK Sarajevo in their 3-1 win over Celik on Saturday. Striker Kwame Karikari was unused by Neftci Baku as he warmed the bench in their 2-1 away win over Sabah Baku. Khalid Abdul Basit scored the second goal for Prishtina in their 2-0 win over Drita. Umm-Salal held Al Ahli to a 0-0 draw. Ghanaian Mohammed Muntari lasted 80 minutes for Ahli while Babbo Barro was unused. John Benson was not in their squad for the game. Anas Mubarak and Mohammed Kasola were in action for Umm-Salal.